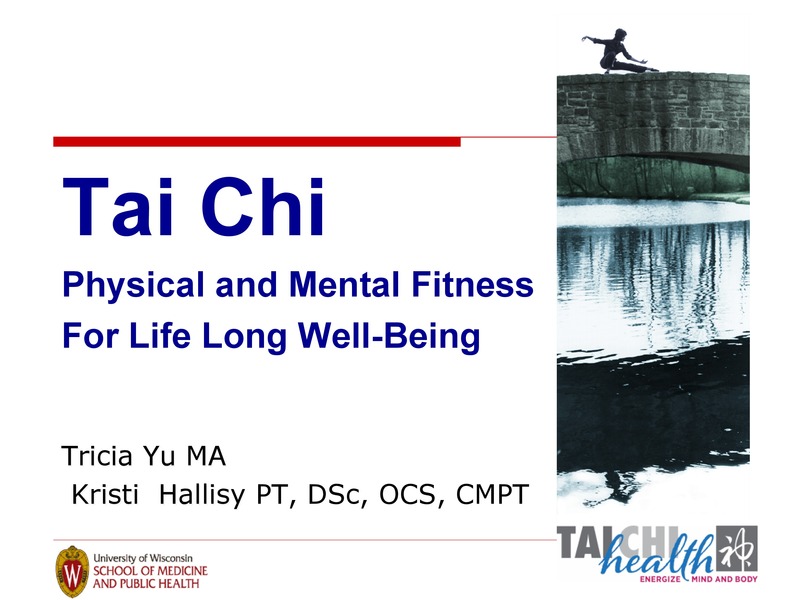 Tai Chi (AKA Tai Chi Ch’uan, Taiji or “Taijiquan) is a slow, graceful exercise that promotes calm mental focus and alignment while building leg strength, endurance and stability. 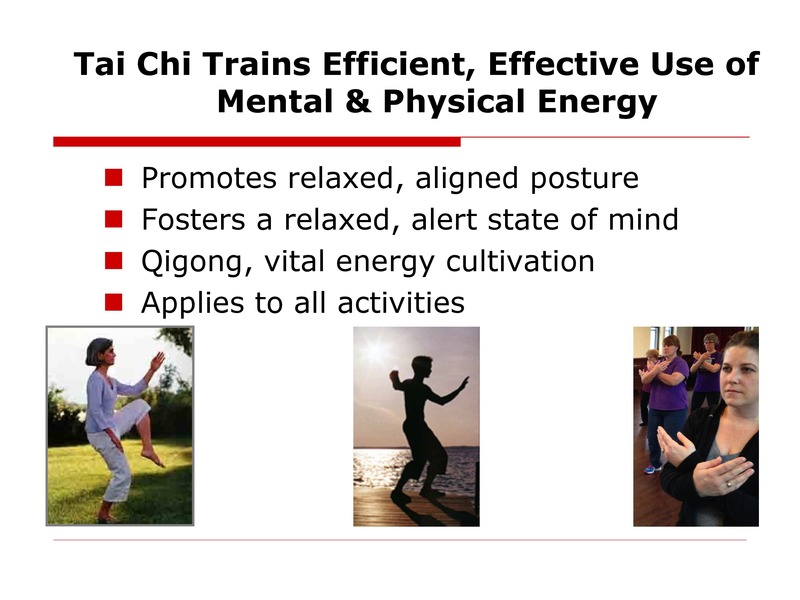 Ideal for increasing stamina, flexibility and coordination, Tai Chi promotes efficiency of movement and economy of effort. 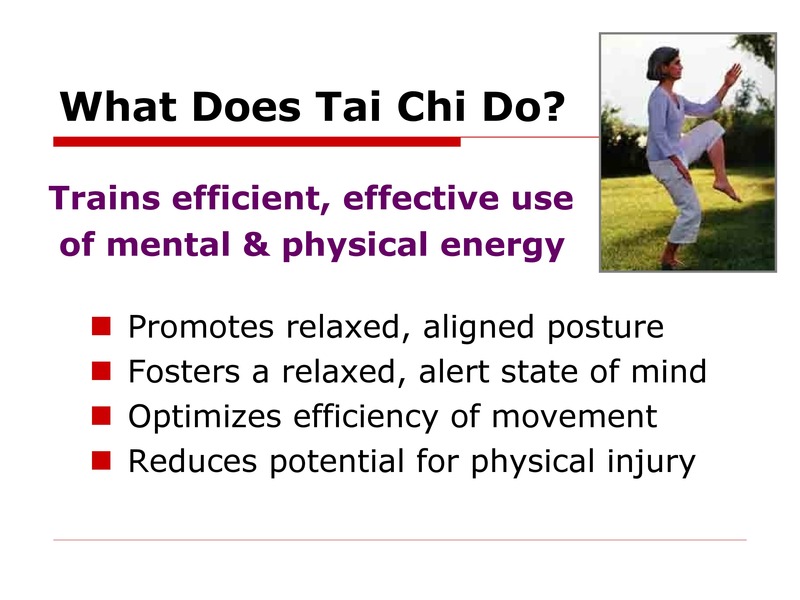 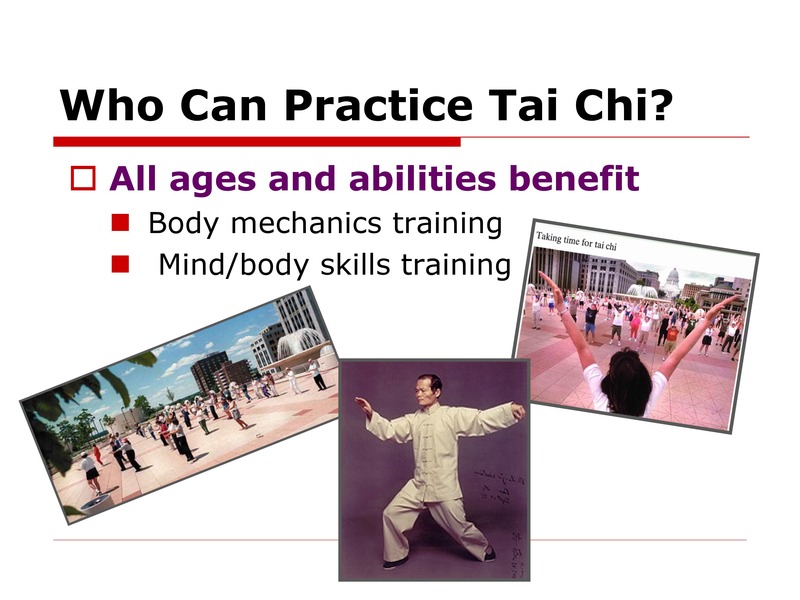 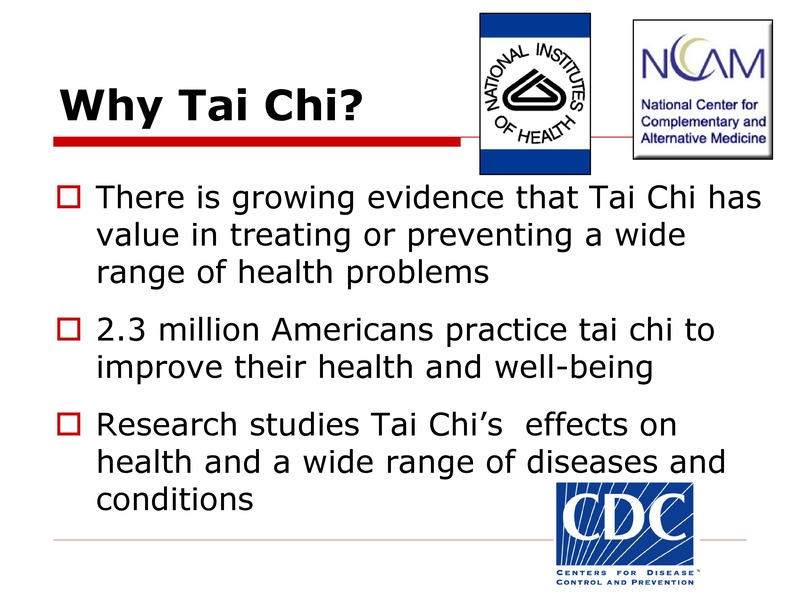 Tai Chi is a form of Qi Qong, or energy cultivation for healthy body, mind and spirit. 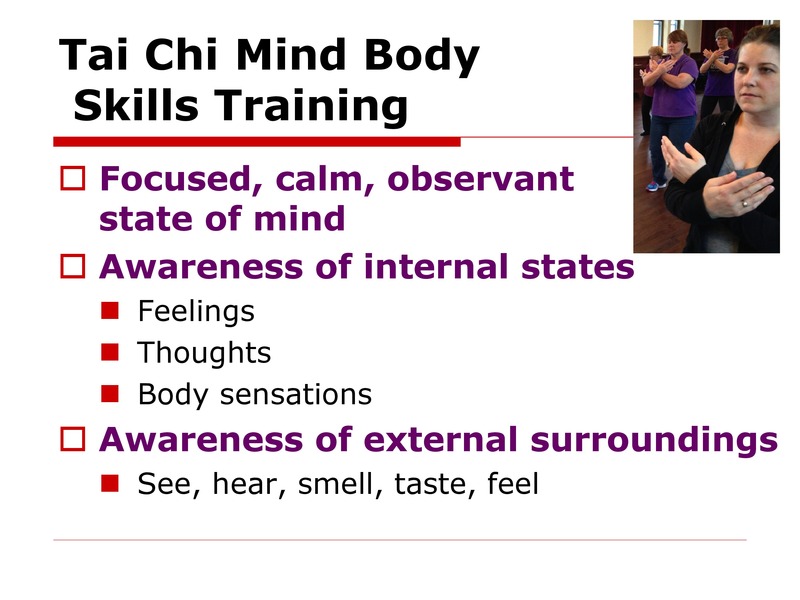 You can apply it to everything you do, including how you interact with others. 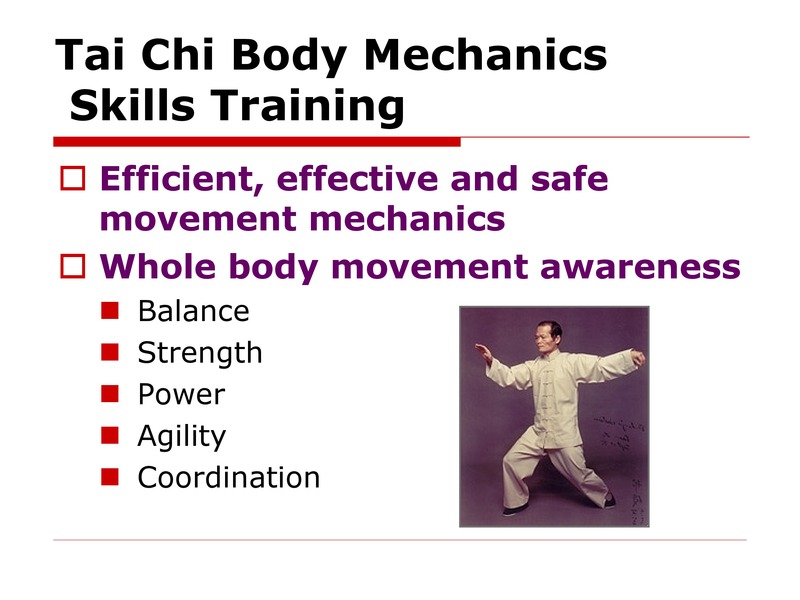 Move your mouse over the first slide and click the right arrow (>) to advance. 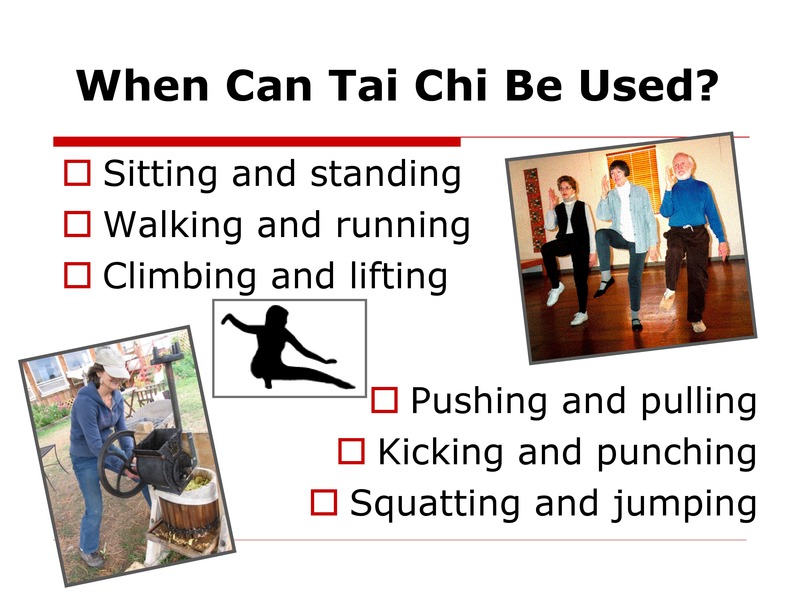 Yang Style Tai Chi is the most widely practiced and researched form worldwide and Yang Style Cheng Man Ch’ing Lineage form is one of the most popular in the USA. 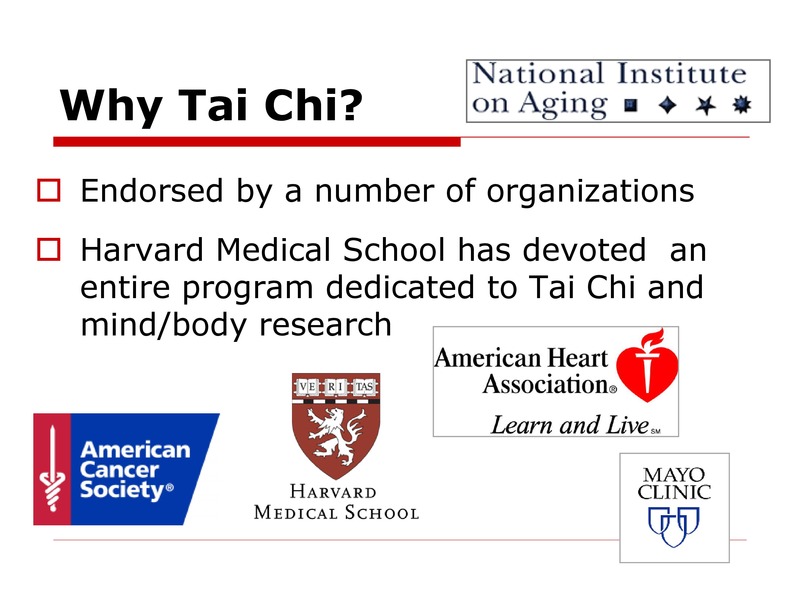 More about Cheng Man Ch’ing Lineage. 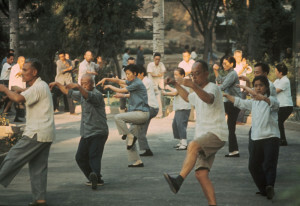 Tai Chi originated in China around the 13th century A.D. as a synthesis of martial arts exercise and sitting meditation. 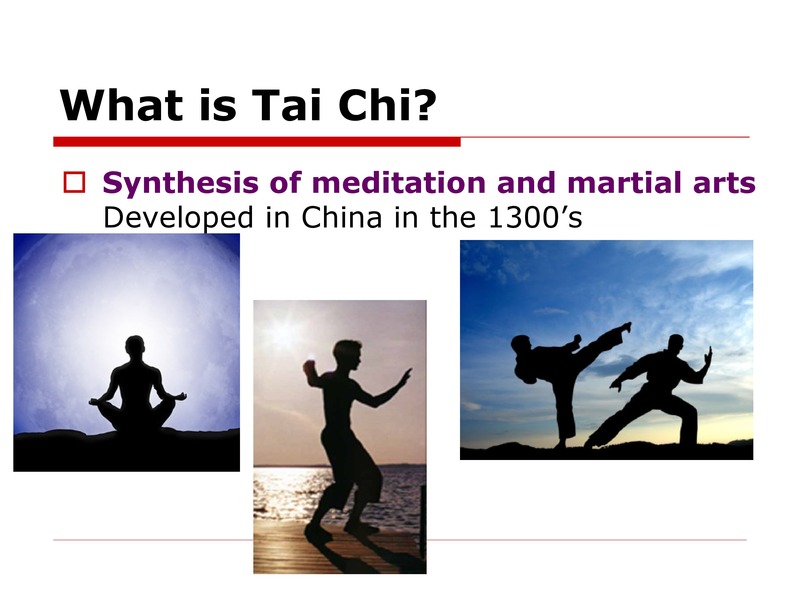 Taoist philosophy was integral to Chinese culture for thousands of years and naturally influenced the development of Tai Chi. 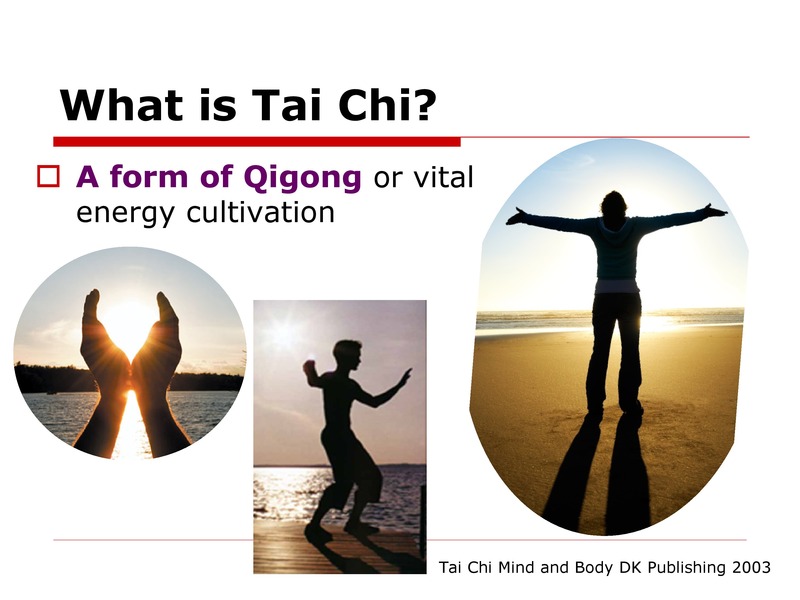 Tao is translated as “road” or “path.” According to this perspective, living simply, being quiet and observant and willing to move with the flow of things promotes harmonious life. 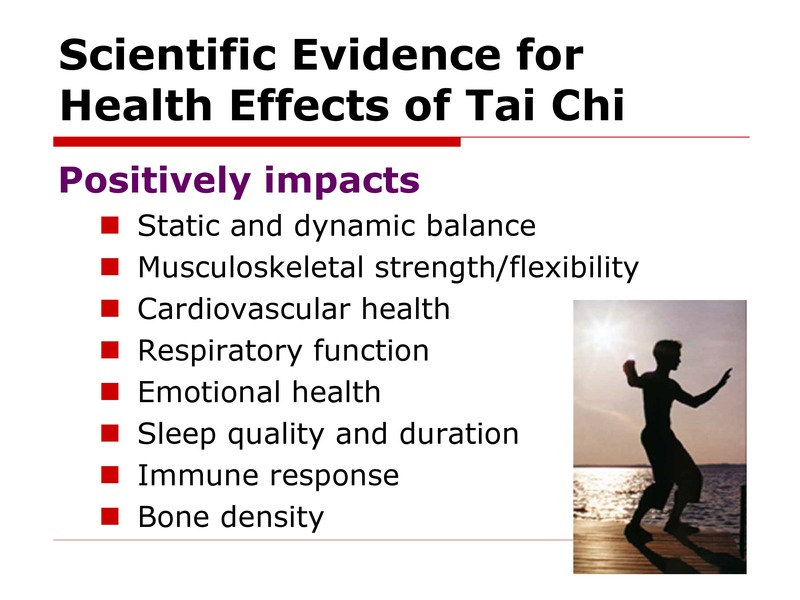 Tai Chi evolved as a self-defense practice which integrates mind, body and spirit to function in harmony with the external world. 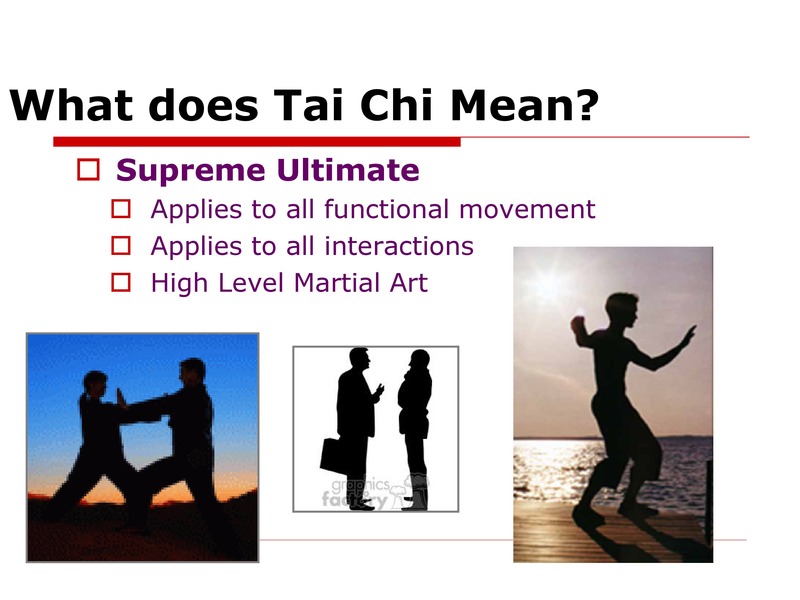 Rather than being tense, aggressive and using brute force, which inevitably becomes depleted, Tai Chi – which means Supreme Ultimate – is a powerful martial art which cultivates the Middle Way, a path of peace.